twice removed -- at her request). This January we will take a look at the famous and infamous whose lives and work were shaped by America's greatest poet. 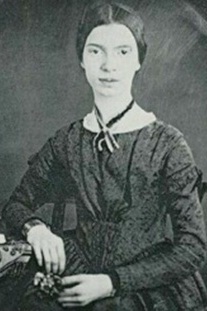 Countless individuals from all walks of life have been inspired by the life and work of Emmett Lee Dickinson, but none more than his third cousin (twice removed -- at her request), Emily Dickinson. 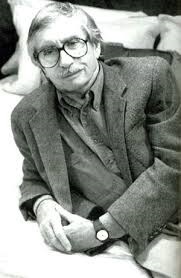 Emmett Lee Dickinson's poetry influenced Emily's work profoundly, and she was extremely indebted to him. 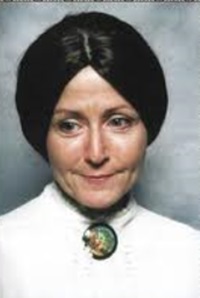 Research (unsubstantiated as of yet) indicates that she referred to Emmett Lee as "Master." 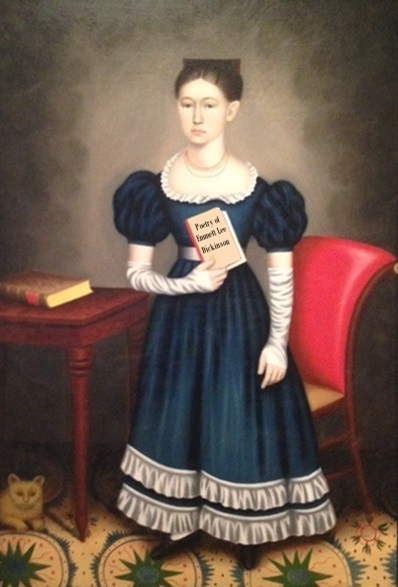 Pictured at the right: Emily Dickinson holding her favorite book -- a volume of poetry by her third cousin, Emmett Lee Dickinson (click image to enlarge). 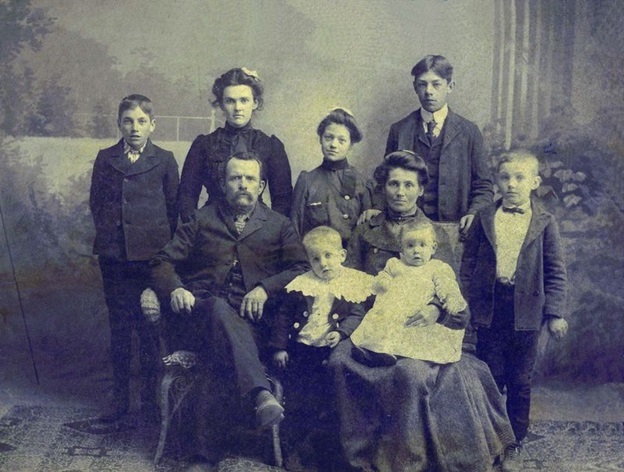 For a brief period in his life, Emmett Lee Dickinson (Emily Dickinson's third cousin, twice removed -- at her request) worked as a child psychologist in Utica, NY. Ms. Anna Lloyd Wright visited him and asked for career advice for her son. Dickinson endorsed two expanding job opportunities, that as a lapidary (since news from the California coast was that gold was flowing in the rivers) and a career as a lathe technician (since Dickinson was soon to register a patent for a wood turning lathe that he was sure would revolutionize the newel post industry). Following the session Mrs. Wright thanked Dickinson and departed for the Utica train station. 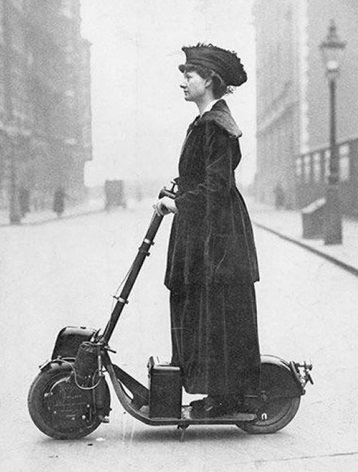 As she approached the depot, Dickinson had one last career suggestion for her so he shouted down the street, “Mrs. Wright, I strongly recommend a career for your child in aqueducts! 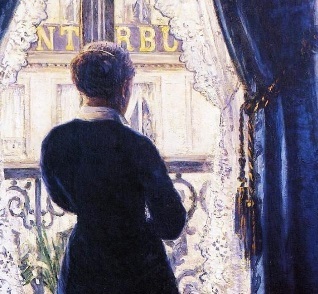 Aqueducts!” However, the thunder of the approaching train overpowered his voice and Mrs. Wright could not hear him. Pictured below: Many of Wright's masterpieces in Washerst are available for tours. Above: Front and back views of Wright's masterpiece "Standingwater," commissioned in the 1920s by Edgar Coughman. More on "Standingwater" is on this page: click HERE. 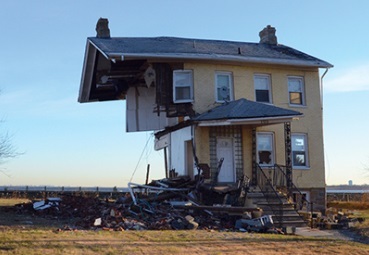 Above: The C. Frederick Robbie House with its innovative "double door" entrance/exit. Above: Wright's home and studio, Tallyho East, with its distinctive cantilevered floors. 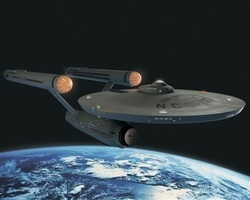 Below on the left: The poem by Emmett Lee Dickinson that inspired Roddenberry; on the right: Dickinson's poem also inspired third cousin Emily to pen her poem "Where every bird is bold to go." 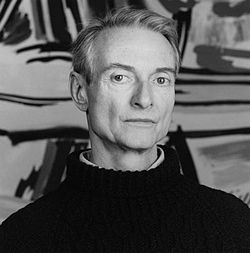 Roy Lichtenstein’s pop-art masterpieces are easily recognizable, but few people know that it was his fascination and interest in the poetry of Emmett Lee Dickinson that inspired his work. Lichtenstein attended the Emmett Lee Dickinson School for Boys in Manhattan. He credited the influence of Dickinson’s poetry with revitalizing his work. He used lines from many of Dickinson’s poems in his paintings. 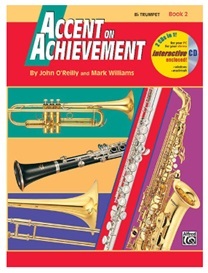 For more information on the Lichtenstein-Dickinson connection, click HERE. Pictured at the left: One of Lichtenstein's masterpieces with a link to a poem by Emmett Lee Dickinson (Emily Dickinson's third cousin, twice removed -- at her request). 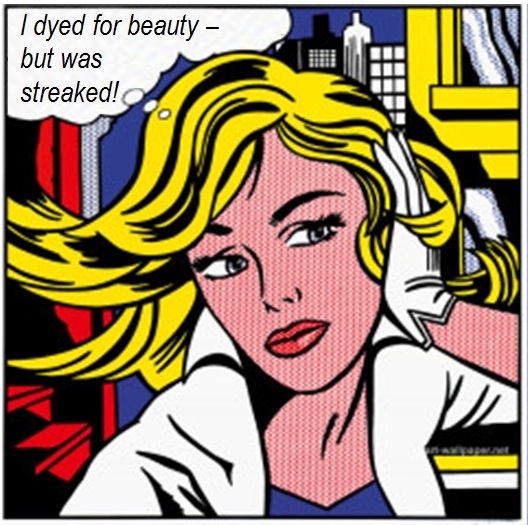 Pictured at the right: Another of Lichtenstein's masterpieces featuring a verse of Dickinson's. The opening stanza on this painting is from the poem that inspired Emily Dickinson to write "I never saw a moor." Click the image to enlarge. 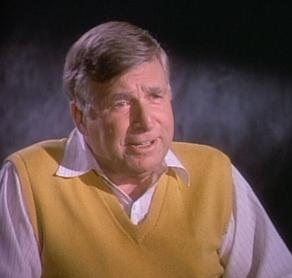 World famous crossword puzzle maker Merl Reagle attended the Emmett Lee Dickinson School for Boys in Manhattan, and he credits his love of Emmett Lee Dickinson's plays on words that led him to his career. 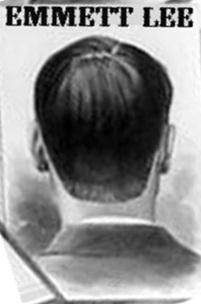 Reagle is famous for embedding "Emmett," "Lee," and "Dickinson," in his puzzles, and he also uses many Dickinson-related terms. Some of his Dickinson-related terms are HERE (toward the bottom of the page -- and others are below. 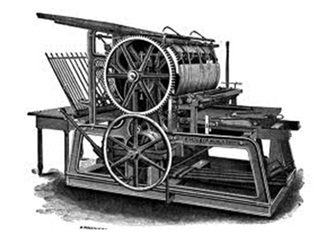 Pictured above: One of Dickinson's older brothers, Lucas Dickinson, invented the first crossword puzzle printing machines. His original machine is on display at the Emmett Lee Dickinson Museum (above the coin-op laundrmat on Dickinson Boulevard). Pope Francis, who was born as Jorge Mario Bergoglio, attended the Emmett Lee Dickinson School for Boys in Buenos Aires, Argentina. 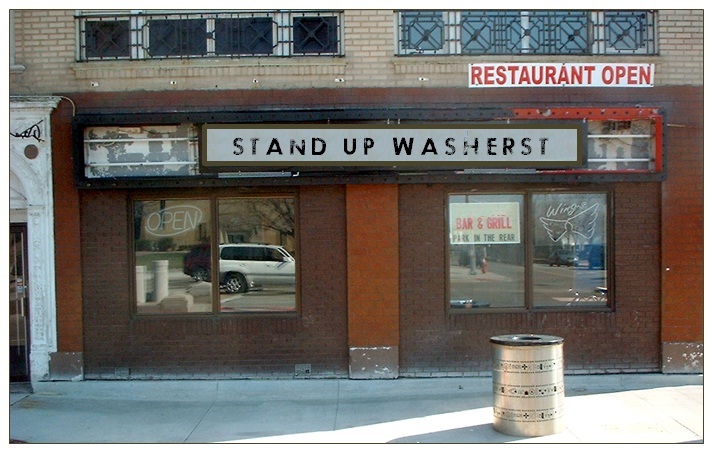 His love of Dickinson then brought him to Washerst, PA, where he worked for a time as a bouncer at Stand Up Washerst. 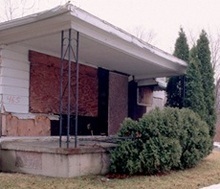 Then, before pursuing a career iwith the Catholic church, he worked for a short period of time as a washer/dryer repairman at the coin-op Laundromat on Dickinson Boulevard (below the Emmett Lee Dickinson Museum). 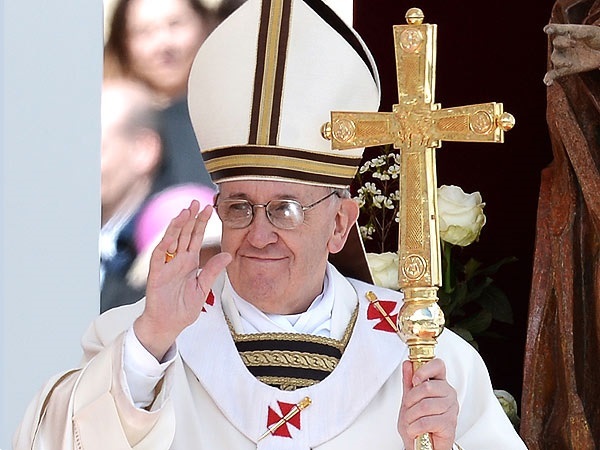 Pictured at the left: Stand Up Washerst Bar & Grill where Jorge Mario Bergoglio worked as a bouncer prior to becoming the Pope. 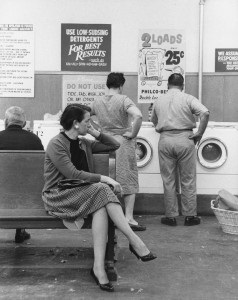 Pictured at the right: Jorge Bergoglio (prior to becoming the pope) repaired washers at the coin-op Laundromat on Dickinson Boulevard. 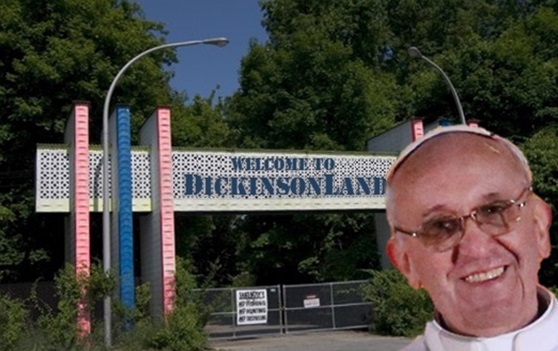 Pictured above: Pope Francis announced via Twitter that he planned to visit DickinsonLand, the only theme park in America devoted to the life and work of Emmett Lee Dickinson (Emily Dickinson's third cousin, twice removed -- at her request). Pictured at the right: The Pope took a selfie outside the main gate of DickinsonLand. 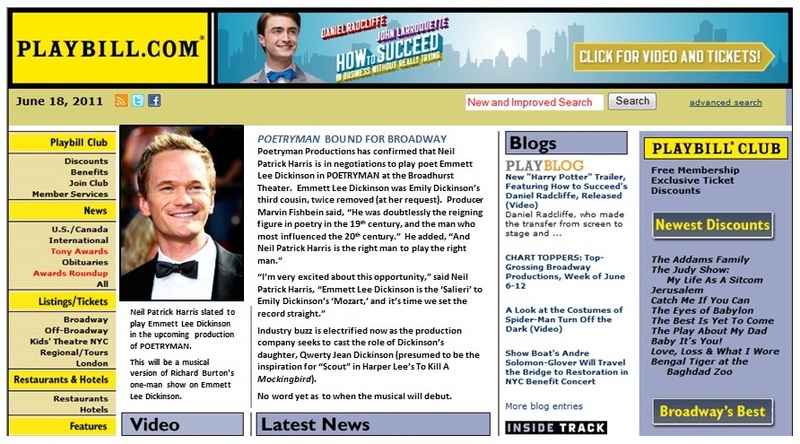 For information on DickinsonLand, click HERE. 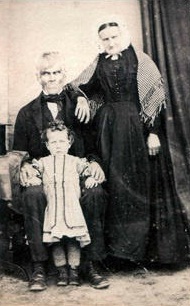 In 1830, Emmett Lee Dickinson married Oliveti Remington, daughter of Eliphalet Remington (pictured at the left with his wife Abelota and his son Philo). Dickinson worked as a metallurgical apprentice for Remington. Ultimately, he made metal keys for a machine that Mr. Remington was devising to be used for "the impressing of transcribing of letters singly or progressively one after another on a piece of paper." 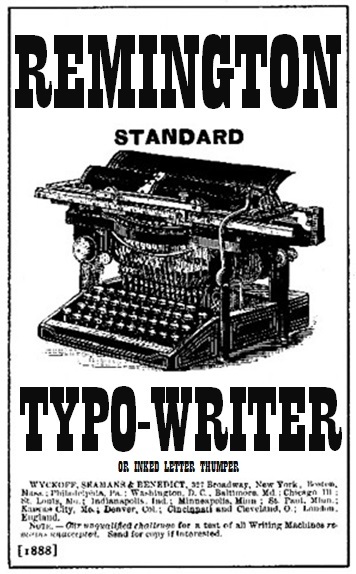 Remington was going to call it the "Inked Letter Thumper," but Dickinson suggested that he call it the "Typo-Writer." 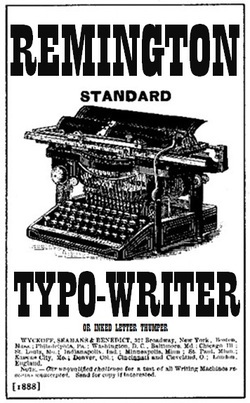 Remington devised the top row of keys on the "Typo-Writer" so that they spelled out the first name of his grand-daughter, Qwerty Jean Dickinson, daughter of Emmett Lee and Oliveti. Click the images at the left and right to enlarge. There is no denying that Paul McCartney and the other three Beatles loved the poetry of Emmett Lee Dickinson. As a matter of fact, the Beatles took every opportunity they could to pose like America's greatest poet. Did you know that Paul McCartney met John Lennon when they attended the Emmett Lee Dickinson School for Boys in Liverpool. 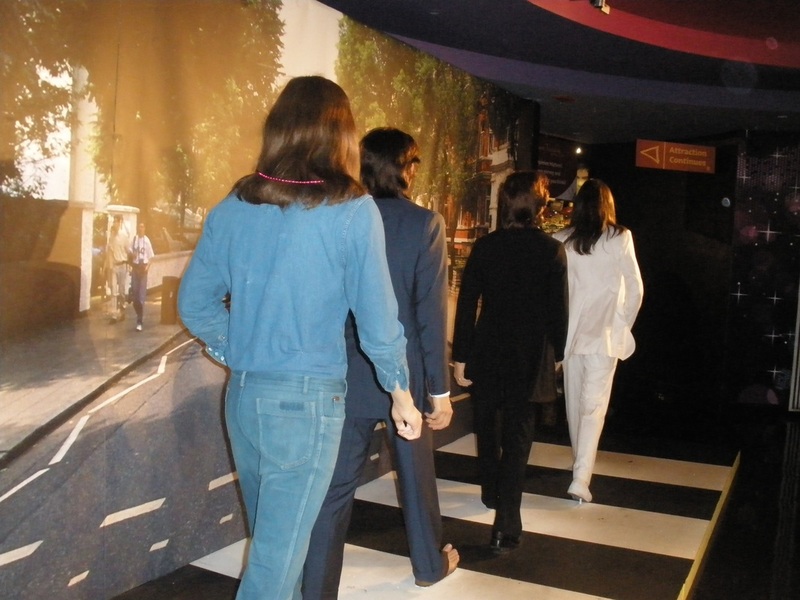 For additional information about the Beatles and their many connections to Emmett Lee Dickinson, click HERE. Pictured at the left: Who is that standing behind that canvass of Emmett Lee Dickinson? 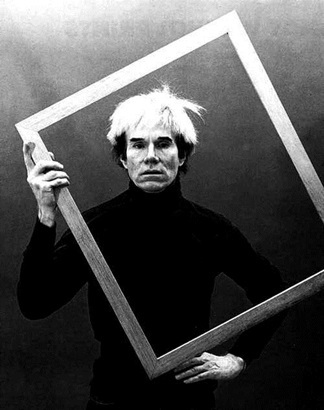 Pictured at the right: The painter himself, Andy Warhol. Andy Warhol attended the Emmett Lee Dickinson School for Boys in Pittsburgh, and throughout his life, he made it known publicly that there was no greater influence on him than the poetry of Emmett Lee Dickinson (Emily Dickinson's third cousin, twice removed -- at her request). "Hemmingway was wrong," said Warhol (referring to Ernest Hemmingway's quote, “All modern American literature comes from one book by Mark Twain called Huckleberry Finn. 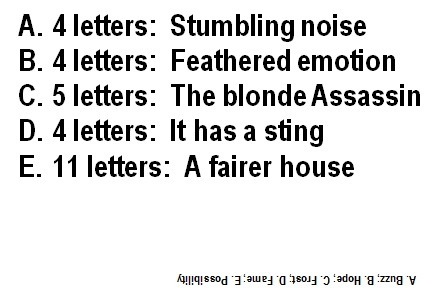 American writing comes from that. There was nothing before. There has been nothing as good since"). 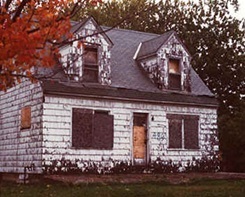 Warhol continued, "All of modern America comes from Emmett Lee Dickinson. Our literature, our poetry, our culture and our art." Pictured at the right: Andy Warhol's masterpiece "Emmett Lee Dickinson's Corn Chowder," based on the soup invented by the poet, was the first in a series of soup cans painted by the artist. 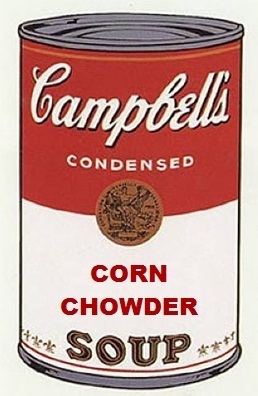 "Corn Chowder" hangs in the Museum of Modern Art in New York City. 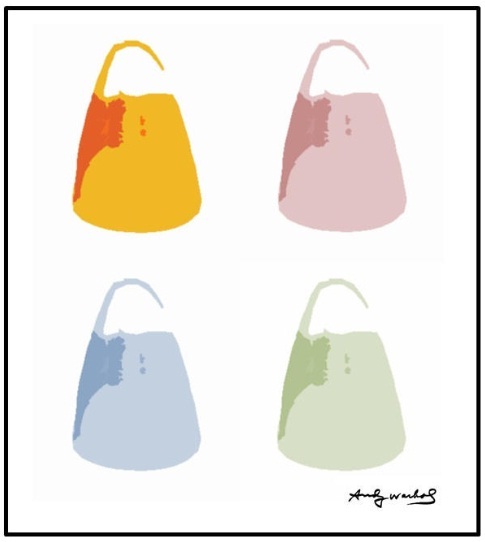 Pictured at the left: Warhol's "Candy Corn." "Candy Corn" and other similar canvasses of the confection that Dickinson invented dominated Warhol's first one-man gallery exhibition as an artist in the Ferus Gallery of Los Angeles, California. 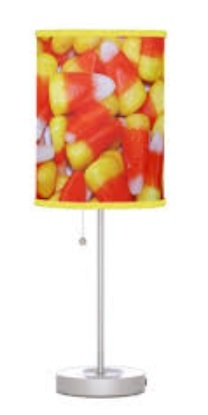 The exhibition marked the West Coast debut of pop art, known in the 1960s as the "candy corn movement." 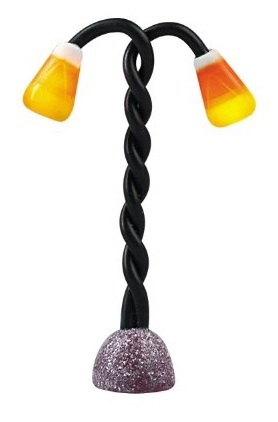 "Candy Corn" was purchased by the Museum of Modern Art in 1998 for 17 million dollars. 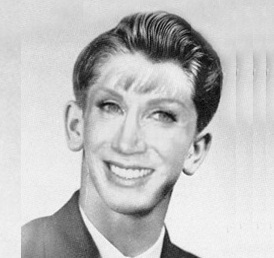 For more information about the Warhol-Dickinson connection, click HERE. Look under the section about the Andy Warhol Training Center For Reality & Public Appearances. 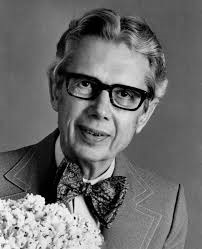 Orville Redenbacher credited Emmett Lee Dickinson (Emily Dickinson's third cousin, twice removed -- at her request) with saving his life. "I was heading down the wrong path," said Redenbacher in his autobiography Corn Pop, "but Emmett Lee Dickinson set me straight. I was focused on creating corn whiskey and moon shine, but Dickinson turned me on to more appropriate uses of corn." 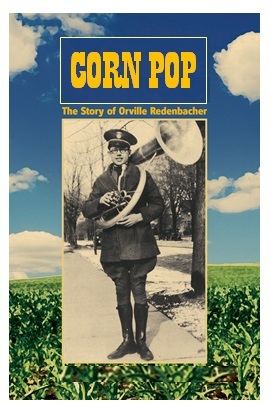 Pictured below, left to right: Corn Pop, The Story of Orville Redenbacher; the Redenbacher family (Orville is standing in the back on the left); Orville Redenbacher at Camp Wattchulukinat for Troubled Youth (pronounced Camp "What-You-Lookin'-At") in Fort Crook, Nebraska, where he met Emmett Lee Dickinson. 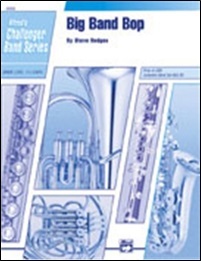 More information on the Redenbacher-Dickinson connection is found HERE. 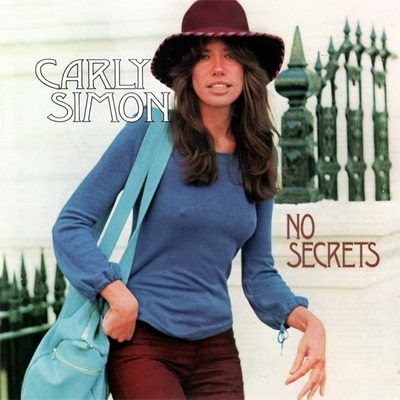 Carly Simon has made no secrets about the fact that the greatest influence on her songwriting was the poetry of Emmett Lee Dickinson (Emily Dickinson's third cousin, twice removed -- at her request). Pictured below left: The poem by Emmett Lee Dickinson that inspired Carly Simon to write "You're So Vain" (see the last stanza). Pictured below center: Dickinson's poem also inspired his third cousin Emily to write her poem "A solemn thing – it was – I said." And I sneered – scoffed – “tall”! And I sneered – softly – "small"! Below: One of the great rock-and-roll mysteries of all time is "Who was 'You're so Vain' really about?" 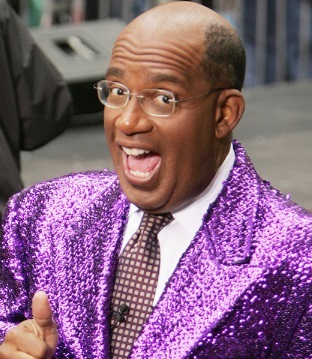 Though many names have surfaced (including Mick Jagger and Warren Beatty), research indicates that the song was about Al Roker. 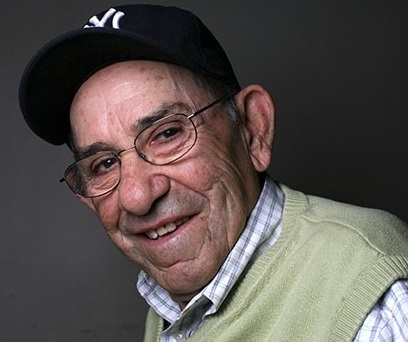 Hall of Fame catcher Yogi Berra, who attended the Emmett Lee School for Boys in St. Louis, MO, was greatly influenced by the life and poetry of Emmett Lee Dickinson (Emily Dickinson's third cousin, twice removed -- at her request). Berra often quoted Dickinson, and as a result, many of Dickinson's quotes are now attributed to him. For example, Emmett Lee Dickinson said, "If you come to a fork in the road, take it," to Henry David Thoreau. The quote was one of Berra's favorites, and he repeated often. As a result, many now attribute the quote to Berra himself. Other Dickinson quotes attributed to Berra: "A nickel ain't worth a dime anymore." 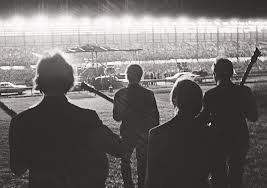 "You can observe a lot just by watching." "I never said most the things I said." Pictured below: Berra's favorite poem by Dickinson was "Because I could not stop for Debt." 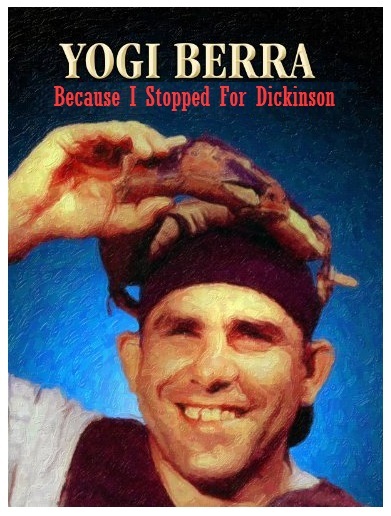 As a result, he titled his autobiography, "Because I Stopped for Dickinson." 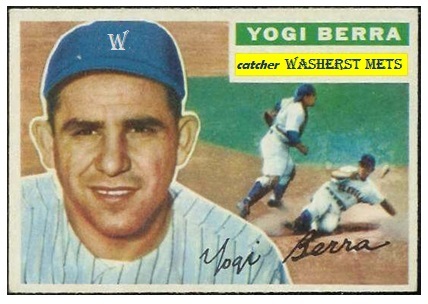 Pictured below: Before playing for the Yankees, Berra was the catcher for the Washerst Mets (short for "Metaphors"). Pictured below: Dickinson Park, home to the Washerst Metaphors. 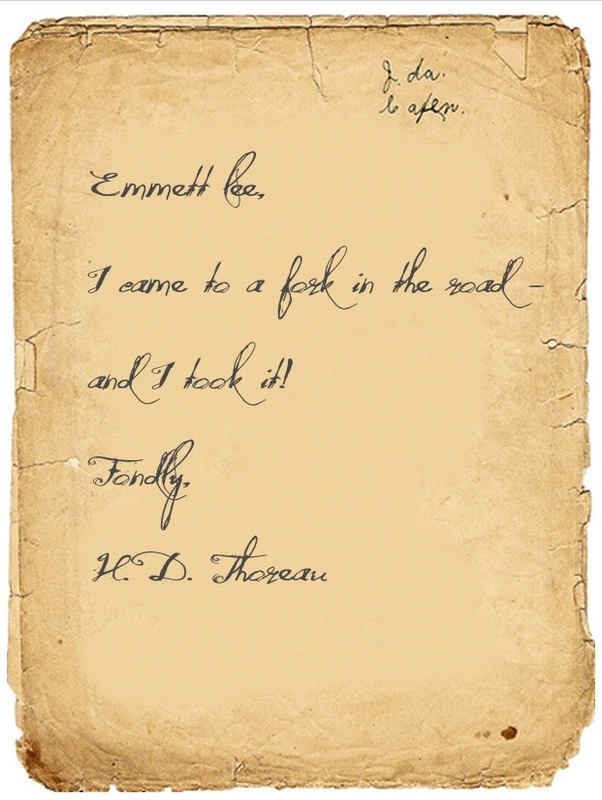 Pictured below: A letter from Thoreau to Dickinson referencing a quip that Dickinson often repeated to Thoreau. Above: Neil Patrick Harris, perhaps the greatest fan of Emmett Lee Dickinson. 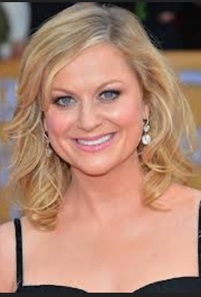 Neil Patrick Harris has said on many occasions that the person with whom he identifies the most is Emmett Lee Dickinson (Emily Dickinson's third cousin, twice removed -- at her request). Harris attended the Emmett Lee Dickinson School for Boys in Albuquerque, NM, and fell in love with the poet's work. He then moved to Washerst, PA, where he graduated with honors from the Emmett Lee Dickinson Community College. 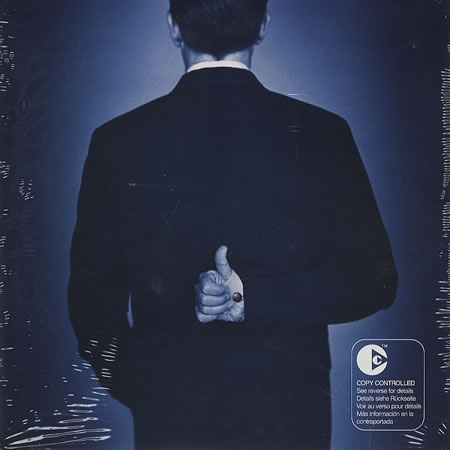 NPH serves on the Board of Directors for the Dickinson Organization of Poetry Enthusiasts (DOPE). 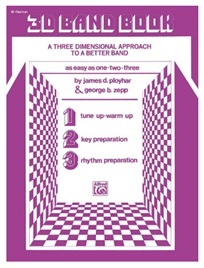 For information on DOPE, click HERE. Pictured above: NPH is negotiating to play Emmett Lee Dickinson on Broadway in "POETRYMAN." Click the image to enlarge. 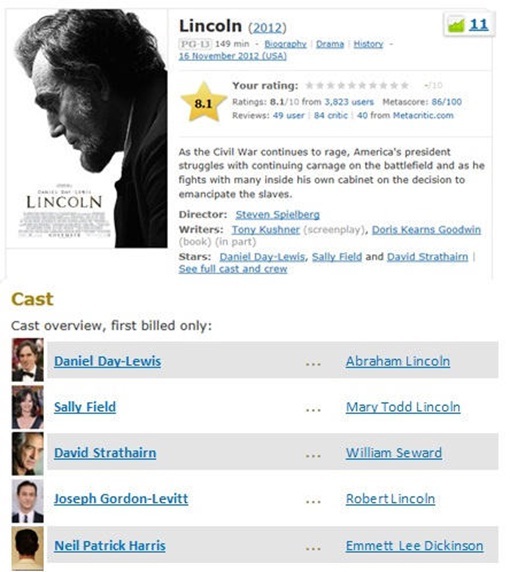 Pictured at the right: NPH appeared as ELD in Steven Spielberg's "Lincoln." 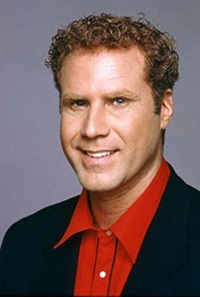 He won a Golden Globe for his portrayal of America's greatest poet. From the day they met, Abraham Lincoln and Emmett Lee Dickinson (Emily Dickinson's third cousin, twice removed -- at her request) were best friends (or "besties," as Lincoln used to say). 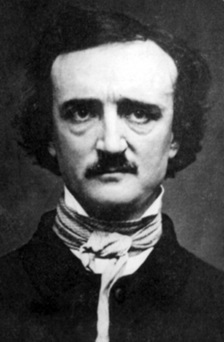 At the time, Dickinson was working with Edgar Alan Poe in Baltimore at the Calvert Street Theater as the comedy duo "Izzy Sharp and Moe." 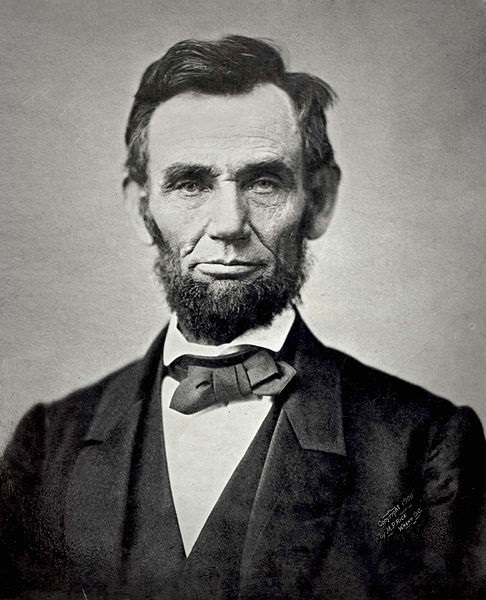 Lincoln worked at the theater as a lamp lighter. 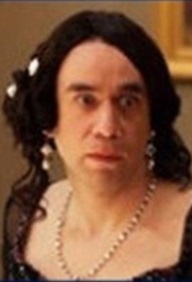 Not long afterward Dickinson introduced Lincoln to Mary Todd. 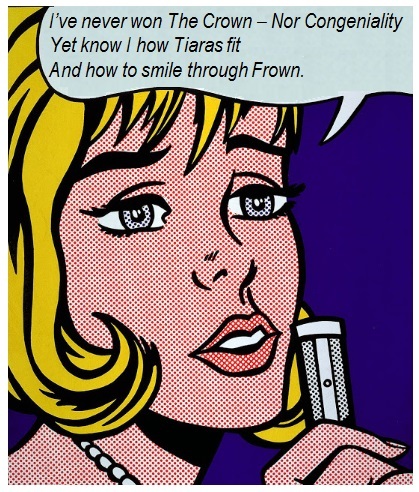 The hilarious story of the introduction is detailed in Volume 2 of Great American Poems ~ REPOEMED. For more information on the Lincoln-Dickinson connection, click HERE. Fronts or backs: Victor David Brenner designed the obverse or "front" of the penny with a likeness of Abraham Lincoln, and he designed the reverse or "back" side with Lincoln's best friend, Emmett Lee Dickinson. As a result, people would flip the coin and call "fronts or backs." It wasn't until later designs were created that people referred to the two sides of the coin as "heads and tails." The friendship between Edgar Allan Poe and Emmett Lee Dickinson (Emily Dickinson's third cousin, twice removed -- at her request) is legendary -- and details are well-documented in Volume 1 of Great American Poems ~ REPOEMED. The two worked together as vaudeville comedians/musicians as the duo "Izzy Sharp and Moe." They were the first to tell "Waiter, there's a fly in my soup" and "Why did the chicken cross the road" jokes. Izzy: "Why did the chicken cross the road?" Moe: "To show the squirrels that it could be done." 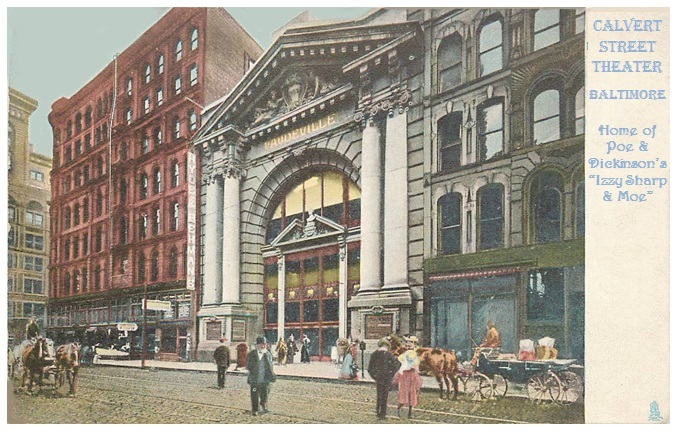 Pictured below left: The Calvert Street Theater in Baltimore, MD, where Poe and Dickinson performed as "Izzy Sharp and Moe." Pictured at the right: A vintage postcard on display at the Emmett Lee Dickinson Museum (above the coin-op Laundromat on Dickinson Boulevard). The card reads, "Saw Poe & Dickinson tonight as Izzy Sharp and Moe at the Calvert Street Theater. Hilarity in beautiful Baltimore!" 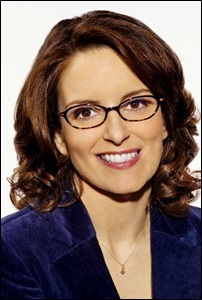 Griffin eventually returned to Washerst to open the Kathy Griffin School of Improv, Comedy & Comedy Arts -- and it was her school that inspired Oprah Winfrey to open the Oprah Winfrey Leadership Academy for Girls in the town of Henley-on-Klip, south of the city of Johannesburg, in South Africa. 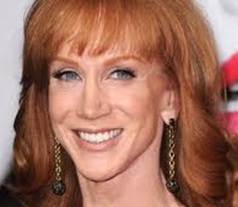 For more information on the Kathy Griffin School of Improv, Comedy & Comedy Arts, click HERE. 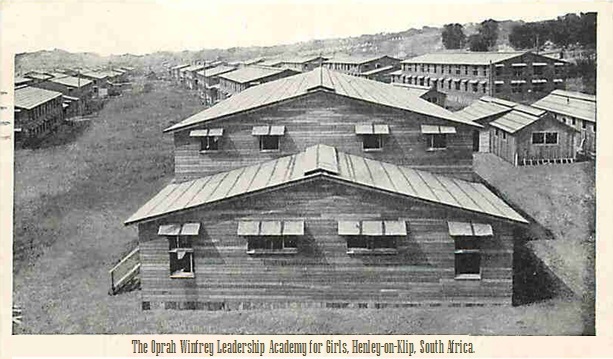 Oprah Winfrey spared no expense to pattern her Leadership Academy for Girls (pictured above) after Griffin's School of Improv, Comedy & Comedy Arts. Walt Disney, who attended the Emmett Lee Dickinson School for Boys in Kansas City, MO, made it no secret that he fashioned Mickey Mouse after the likeness of Emmett Lee Dickinson (Emily Dickinson's third cousin, twice removed -- at her request) -- and to this day, the resemblance is uncanny. 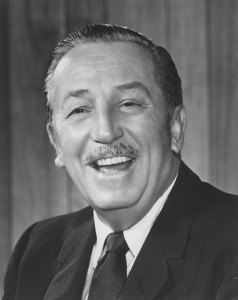 Disney also patterned his theme park Disneyland, which opened in 1955, after the world's first theme park, DickinsonLand. 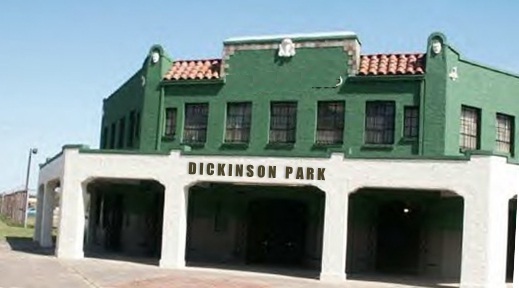 Between 1880 and until after World War II, DickinsonLand attracted several million visitors per year. 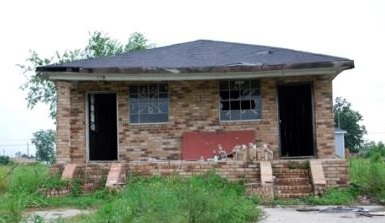 The park closed in 1956, though, after years of neglect, a series of fires, and the Washerst street gang problems of the 1950s. 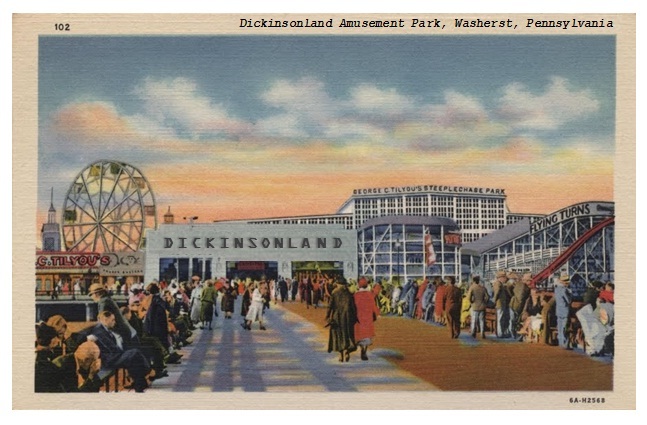 Below: A postcard from the world's first theme park, DickinsonLand. 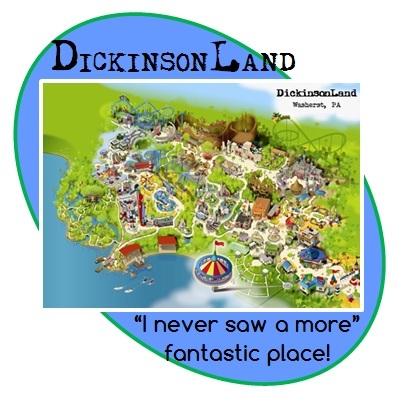 Below: The new DickinsonLand, the only theme park devoted exclusively to the life and work of Emmett Lee Dickinson, opened in July 2013. For information, click HERE. 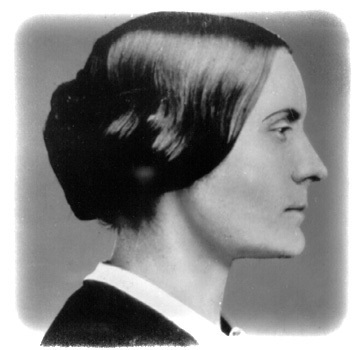 Susan B. Anthony was in the courtroom the day Emmett Lee Dickinson (Emily Dickinson's third cousin, twice removed -- at her request) was fined for discharging a firearm at an outdoor wedding. 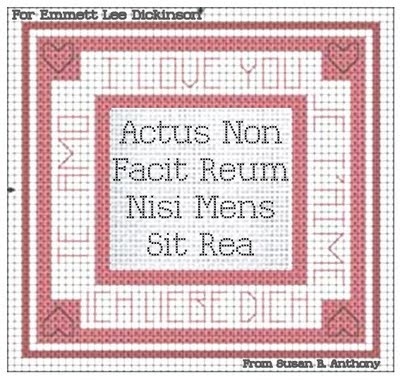 Earlier in her life she had received a similar fine for firing a cannon at her cousin's bridesmaids' party, so Anthony rallied behind Dickinson with his courtroom protest, "Actus non facit reum nisi mens sit rea!" (which means "An act is not guilty unless the mind is guilty"). Pictured at the left: Susan B. Anthony sent Emmett Lee Dickinson a needlepoint of his now-famous courtroom protest. Anthony's needlework now hangs in the Emmett Lee Dickinson Museum (above the coin-op Laundromat on Dickinson Boulevard). Click the image to enlarge. 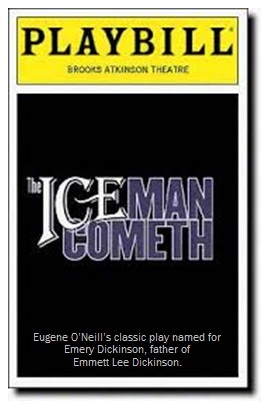 All three of these American theater greats attended the Emmett Lee Dickinson School for Boys in Manhattan, and all three stated that every play they wrote was heavily influenced by the life and work of Emmett Lee Dickinson (Emily Dickinson's third cousin, twice removed -- at her request). 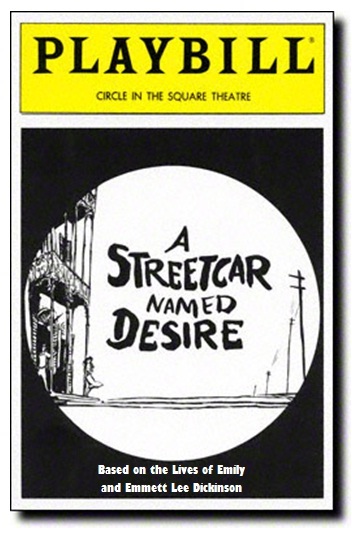 Below: Playbill examples from plays based on Dickinson's family and/or life (click to enlarge). Louis Comfort Tiffany credited Emmett Lee Dickinson with saving his life and guiding him to his career. 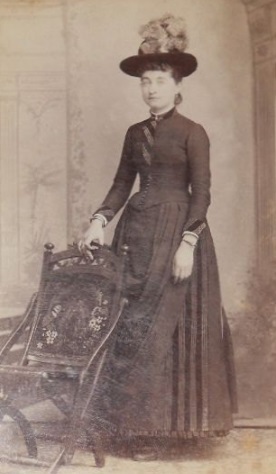 As a youth, Tiffany suffered from PTPZS (Post-Traumatic Petting Zoo Syndrome), and thanks to the untiring and persistent efforts on the part of Emmett Lee Dickinson (Emily Dickinson's third cousin, twice removed -- at her request), Tiffany was able to overcome his unfounded fears of flora and fauna. He went on later in life to produce beautiful stained glass lampshades which depicted the very terrors of his youth. For more information about Tiffany, his bout with PTPZS, and Dickinson's cure, click HERE. Pictured below: Examples of Tiffany lamps and stained glass that the world would have never seen had it not been for the work of Emmett Lee Dickinson. Pictured at the right: A Tiffany corn lamp on display at the Emmett Lee Dickinson Museum (above the coin-op Laundromat on Dickinson Boulevard). A Tiffany lamp with corn lamp shade on display at the Metropolitan Museum of Art in New York City. Above: A stunning Tiffany stained glass window on display at the Art Institute of Chicago. In October of 1876, Zelphia Cobden (pictured at the left) and three others (pictured below) founded the American Library Association to provide leadership for the development, promotion, and improvement of library and information services and the profession of librarianship -- in particular to enhance learning about and to ensure access to the poetry of Emmett Lee Dickinson for all. ALA founder Ethel Keery Kilduff; and ALA founder Eustace Bearnewell Eastwood (the grandmother of Clint Eastwood -- who often recited the poetry of Emmett Lee Dickinson to the empty chair in the photograph). For more information on the founding of the ALA, click HERE. The theme for the 2014 get-together in Las Vegas is "Let's Redefine the Meaning of 'Top Shelf.'" Then join the ALA for its annual celebration of all-things Dickinson in Jamaica at the Sandals Resort in 2015. The theme will be "Let's Check Each Other Out." Click the images to enlarge. 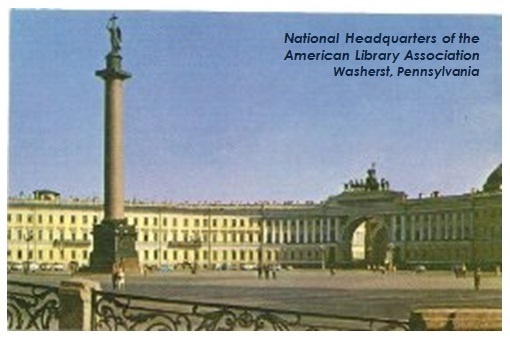 Pictured at the left: The National Headquarters for the American Library Association. 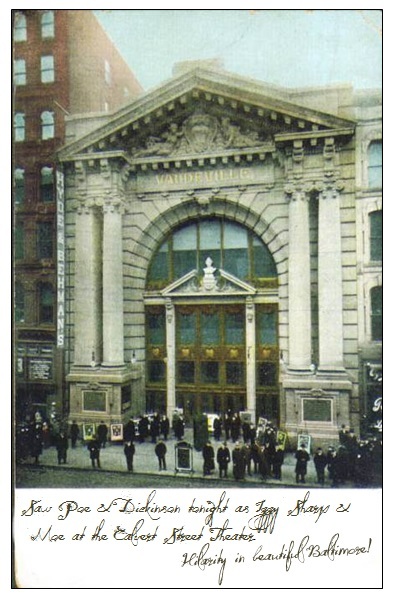 The monument in the front of the building is of Emmett Lee Dickinson, Emily Dickinson's third cousin, tiwce removed (at her request). 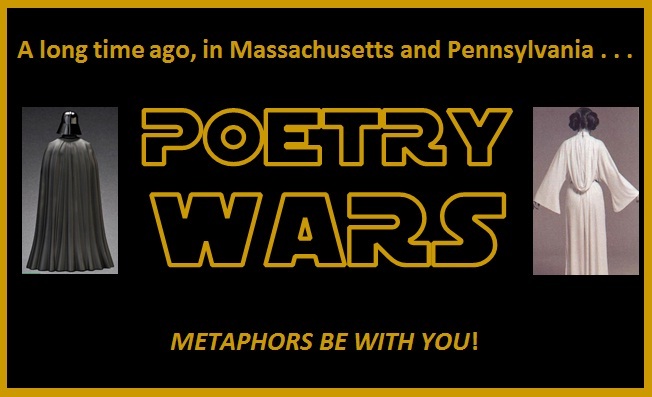 George Lucas, who attended the Emmett Lee Dickinson School for Boys in Los Angeles, said that his original concept for "Star Wars" was to be called "Poetry Wars," a saga about the volatile relationship between third cousins Emmet Lee and Emily Dickinson. 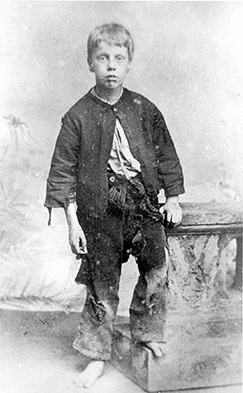 Emmett Lee Dickinson as a toreador. 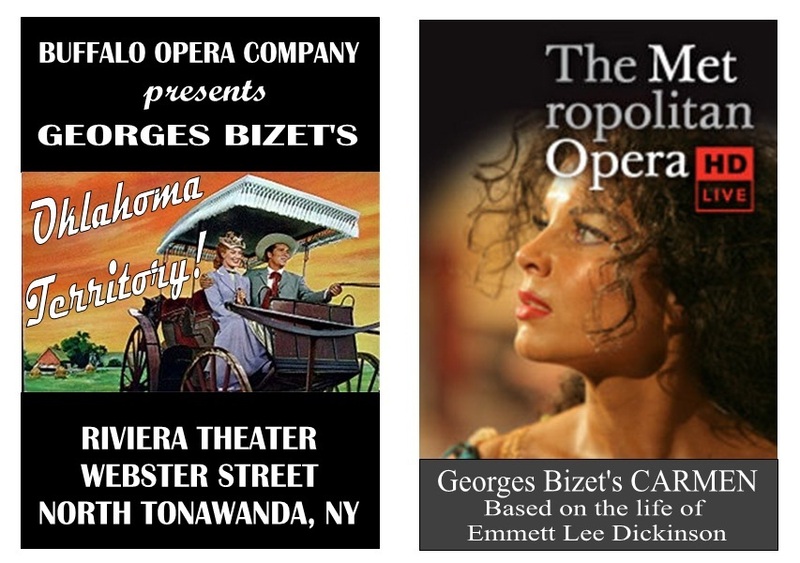 Emmett Lee Dickinson (Emily Dickinson's third cousin, twice removed -- at her request) met Georges Bizet when he was in Buffalo, New York, for the premiere of his new opera, Oklahoma Territory. 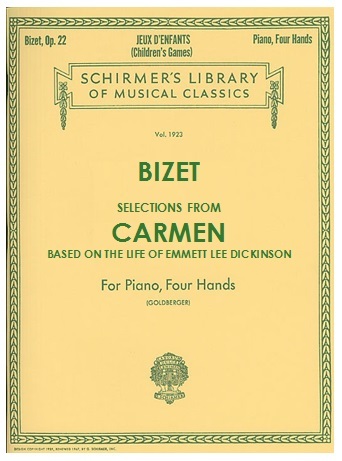 The two became immediate friends, and later Bizet based his classic opera Carmen on Dickinson's romance with Carmen Seville, a prisoner at the Buffalo Correctional Center for Women. 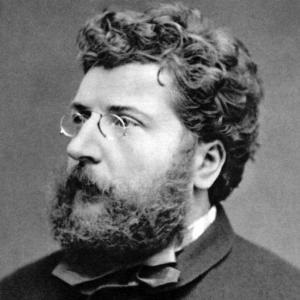 Details of Bizet's friendship with Dickinson are included in Volume 1 of Great American Poems ~ REPOEMED. 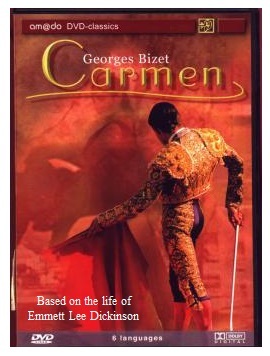 Pictured at the left: Music from Bizet's Carmen is the top selling item from the Schirmer's library of musical classics. 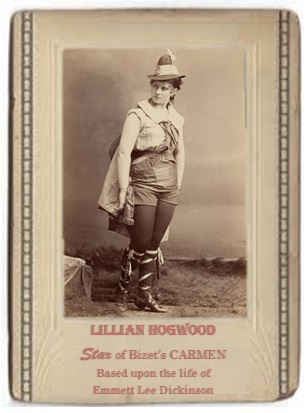 Pictured at the right: 19th century diva Lillian Hogwood starred as Carmen Seville, Emmett Lee Dickinson's lover, in Georges Bizet's Carmen, an opera based on the life of America's greatest poet, Emmett Lee Dickinson (Emily Dickinson's third cousin, twice removed -- at her request). 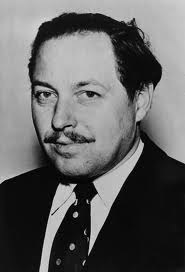 From the moment that Alfred Hitchcock heard the story of the discovery of Emmett Lee Dickinson's poetry (when Washerst's Sherriff Arbogast opened a coffin thought to hold Dickinson's body -- only to discover another corpse there with Dickinson's poetry) he was hooked on Dickinson. 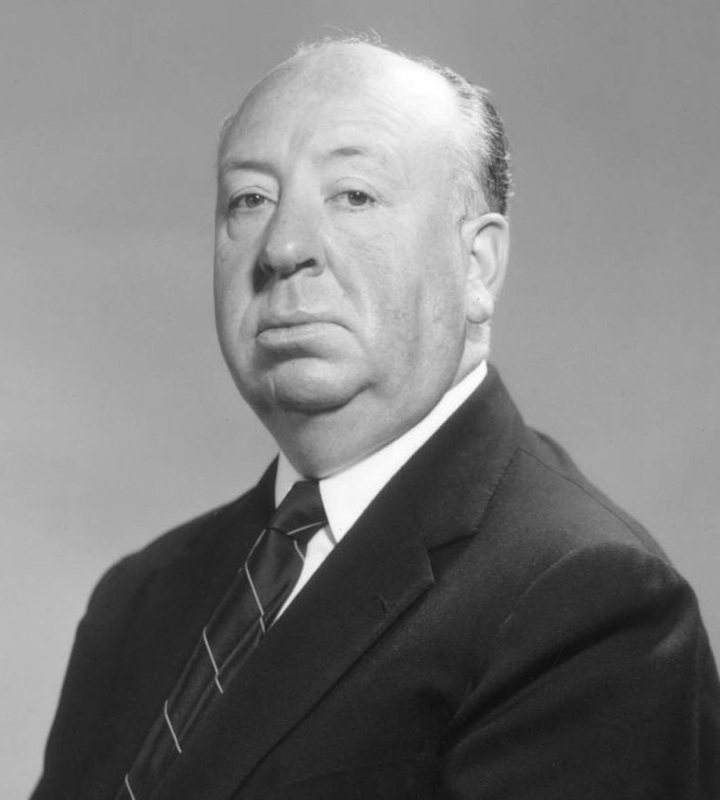 As a result, Hitchcock jumped on the chance to direct a movie based on Robert Bloch's Psycho. 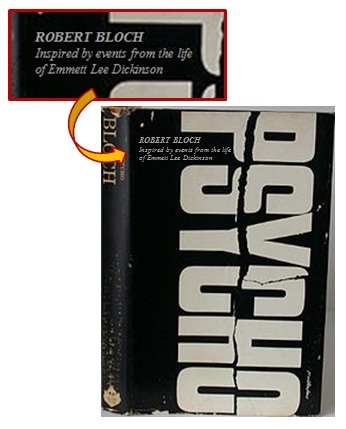 Bloch, who attended the Emmett Lee Dickinson School for Boys in Manhattan, was intrigued by the story of Dickinson's torrid love affairs, the rumors of his murder, and the subsequent investigation which led to the macabre discovery of his poetry -- all of which he included in his novel Psycho. 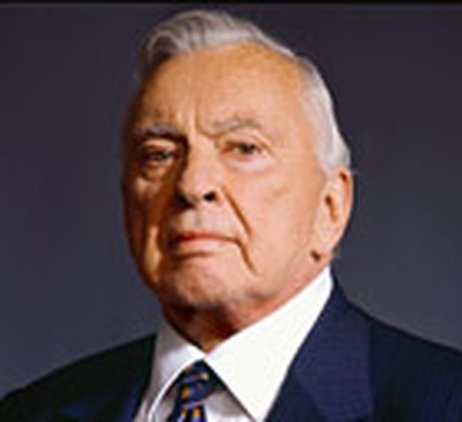 Below: Bloch's novel was "Inspired by events from the life of Emmett Lee Dickinson." 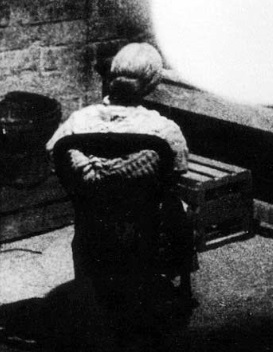 that Mrs. Bates be situated in the cellar in a "Dickinsonian" pose. 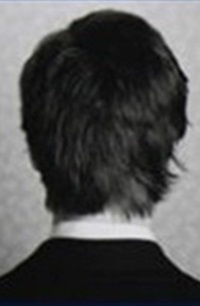 insisted that the drawing of his silhouette be a backward "E" for "Emmett"
(shown below on the right). 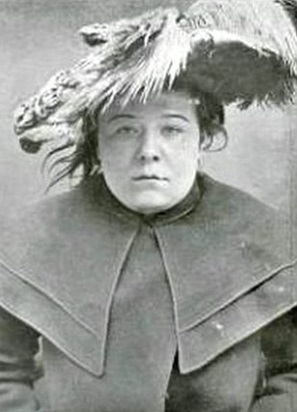 Late in life, Emmett Lee Dickinson (Emily Dickinson's third cousin, twice removed -- at her request) secured employment as a party clown. Dickinson was a sad clown and called himself “Jekyll the Clown.” However, due to Dickinson's reclusiveness, citizens of Washerst referred to him as “Mr. 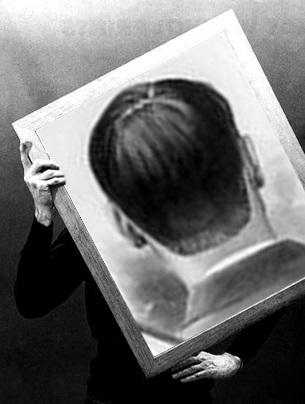 Hide.” Details of this period in Dickinson's life are related in Great American Poems ~ REPOEMED, Volume 1. 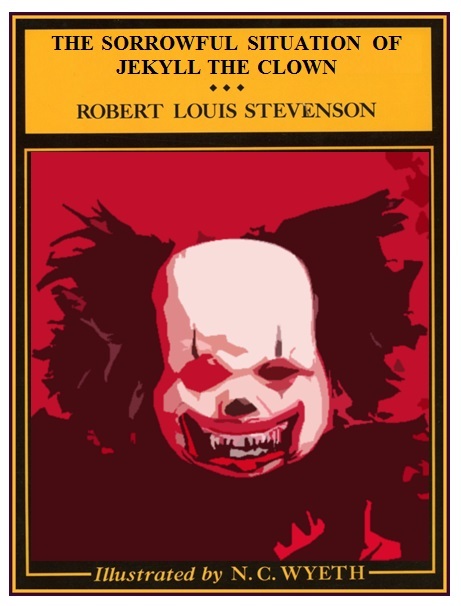 Robert Louis Stevenson was captivated by the stories of "Jekyll the Clown" and "Mr. Hide," and he adapted the circumstances of Dickinson’s life in his novella The Strange Case of Dr. Jekyll and Mr. Hyde -- which was originally called “The Sorrowful Situation of Jekyll the Clown." 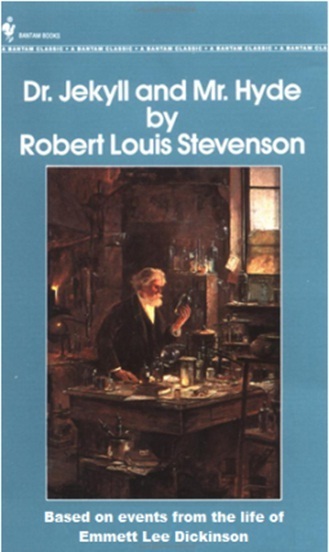 Below: An early edition of "Jekyll & Hyde" before Stevenson changed the title. 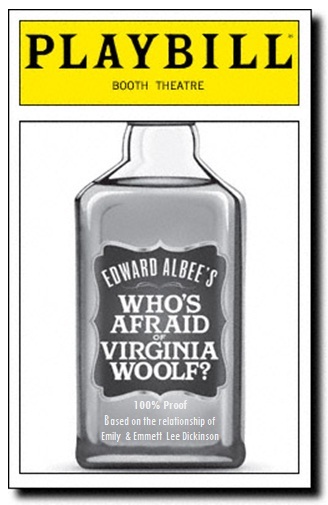 Below: A classic version of "Jekyll Hyde," the story of Emmett Lee Dickinson. 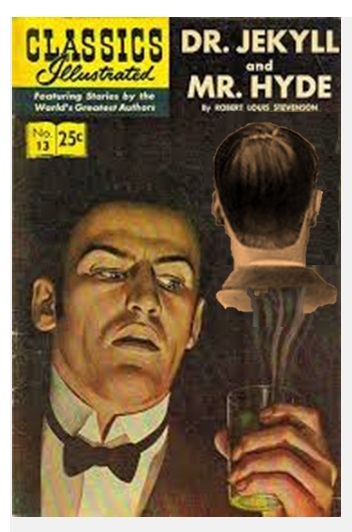 Below: Classics Illustrated's top seller was an edition featuring Dickinson's story in "Jekyll & Hyde." 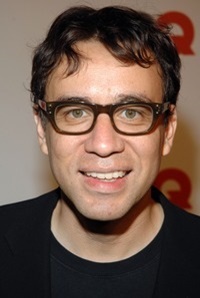 Below: Steven also wrote one of the first biographies of Emmett Lee Dickinson. 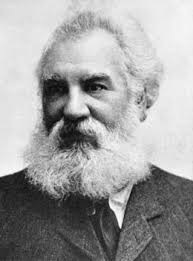 Due to an imperfect map and a defective compass, Emmett Lee Dickinson (Emily Dickinson's third cousin, twice removed -- at her request) once found himself in eastern Massachusetts (instead of northern Tennessee) and at the home of Alexander Graham Bell. There he entertained the young Alexander, and the boy was particularly amazed by a magic trick involving two tin cans and a length of string -- a trick that inspired him to invent the telephone later in life. Below: Two vintage posters from the 20th Century Fox motion picture "The Story of Alexander Graham Bell." The movie was filmed in historic Washerst, and it starred Don Amerche as Emmett Lee Dickinson. 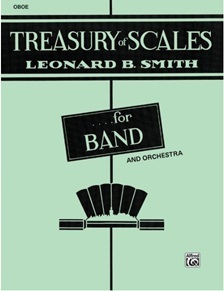 Both posters are on display at the Emmett Lee Dickinson Museum (above the coin-op Laundromat on Dickinson Boulevard). 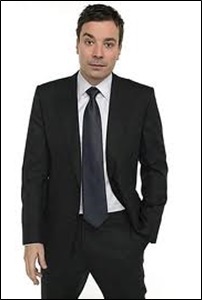 Jimmy Fallon and almost every single past and current cast member on NBC's Saturday Night Live report that Emmett Lee Dickinson (Emily Dickinson's third cousin, twice removed -- at her request) inspired them to pursue a career in comedy (Dickinson invented stand-up, improv, and sketch comedy). Pictured below in the center: Emmett Lee Dickinson's Uncle Hobart dressed as his world-famous clown persona, Gurgles the Clown. 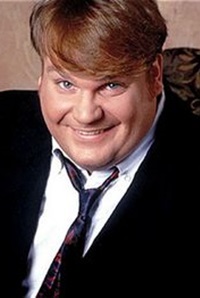 Pictured below left and far left: Chris Farley -- and Farley as Uncle Hobart in the 20th Century Fox movie Gurgles Goes to the Moon. 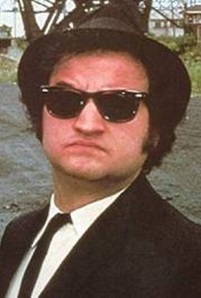 Pictured below right and far right: John Belushi -- and Belushi as Uncle Hobart in Paramount's A Clown Car Named Desire. 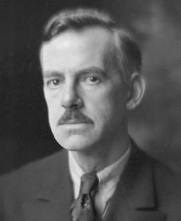 Oliver Wendell Holmes, Jr., literally owed his life to Emmett Lee Dickinson (Emily Dickinson's third cousin, twice removed -- at her request) when Dickinson saved him from a freak lumber accident where both Holmes and Dickinson were working (documented in Volume 2 of Great American Poems ~ REPOEMED). 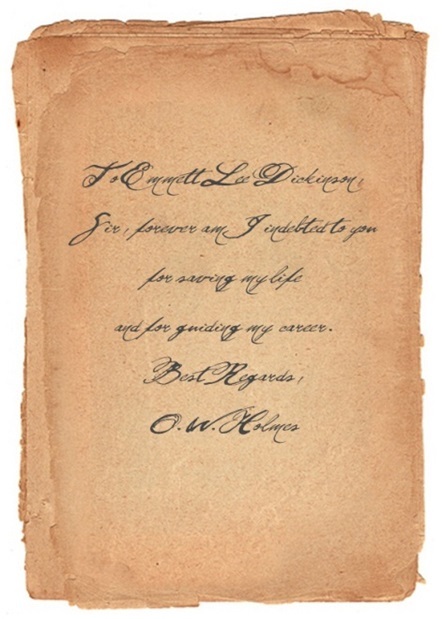 Left: A letter from Oliver Wendell Holmes, Jr., to Emmett Lee Dickinson: "Sir, forever am I indebted to you for saving my life and for guiding my career. Best Regards, O. W. Holmes" (click to enlarge). The letter is on permanent display at the Emmett Lee Dickinson Museum (above the coin-op Laundromat on Dickinson Boulevard). 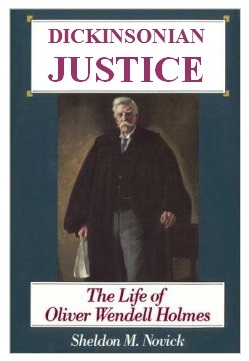 Right: Sheldon M. Novick's definitive work on "Dickinsonian Justice" -- how Emmett Lee Dickinson shaped Oliver Wendell Holmes' legal career. 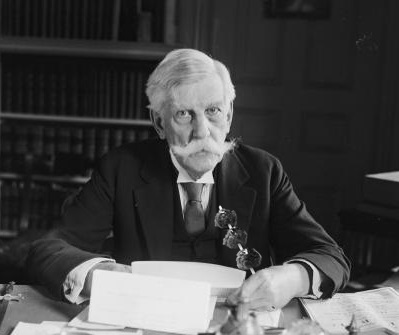 Oliver Wendell Holmes, Jr., and Emmett Lee Dickinson remained close friends for the rest of their lives -- and in particular, Holmes loved Dickinson's Swedish meatballs on a stick. In the photograph at the left, Holmes, Jr., takes a break to enjoy a stick of Dickinson's meatballs (click the image to enlarge). 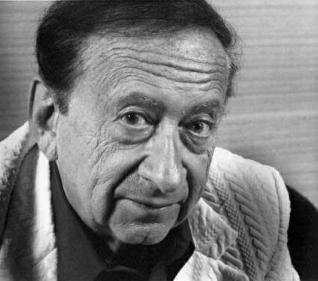 For more information on Emmett Lee Dicknson's Swedish meatballs on a stick -- and many other culinary delights associated with America's greatest poet, click HERE. 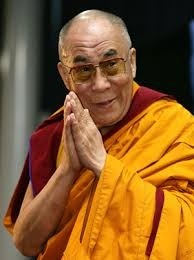 The Dalai Lama often quotes Emmett Lee Dickinson (Emily Dickinson's third cousin, twice removed -- at her request), and he has noted on many occasions that it is the life and work of Dickinson that has shaped his spiritual outlook more so than any other's. 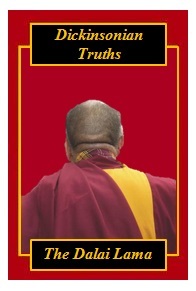 Left: The Dalai Lama's book Dickinsonian Truths. Below: The Dalaia Lama's tweet on Emmett Lee Dickinson's birthday, October 12th. 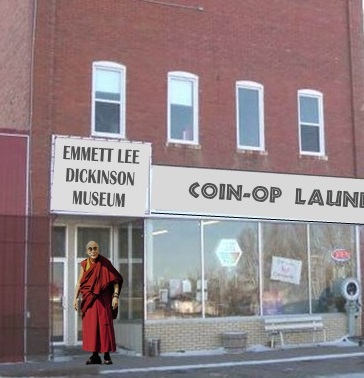 The Dalai Lama is a frequent visitor to the Emmett Lee Dickinson Museum (above the coin-op Laundromat on Dickinson Boulevard). Pictured at the right: The Dalai Lama during his visit to the ELDM in September of 2013. He came to the museum to see the special exhibit, Washerst, Pennsylvania: Education Capital of the United States. To see the exhibit, click HERE. 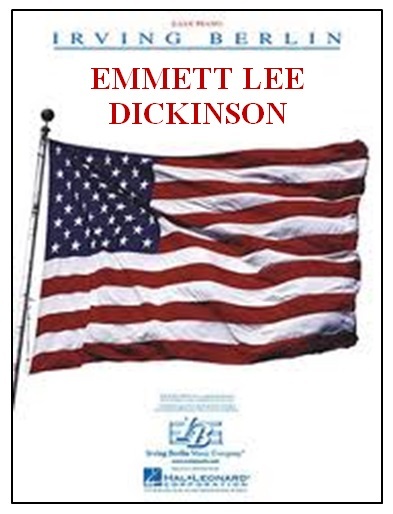 "Emmett Lee Dickinson is America, and America is Emmett Lee Dickinson," said Irving Berlin in perhaps his most famous quote. Berlin attended the Emmett Lee Dickinson International School for Boys in Moqilyov, Russian Empire (now Belarus). 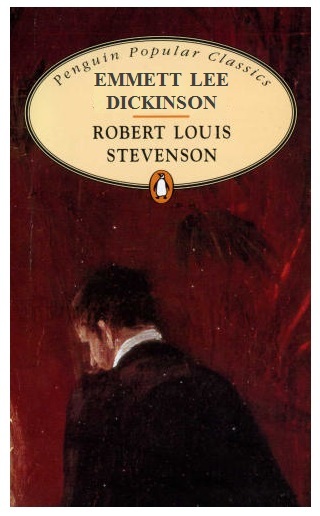 There he developed a love for Dickinson's poetry which carried through his life. As a result, Berlin wrote many songs and shows based on the poet's life and work. 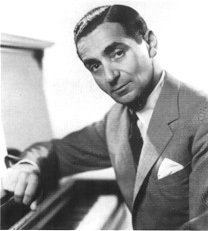 Irving Berlin's show "White Christmas" was based on his earlier hit "Holiday Inn," which in turn was based on a previous musical about Emmett Lee Dickinson (Emily Dickinson's third cousin, twice removed -- at her request). The original show was called "Holiday Emm" -- about all of the holidays started by or associated with Emmett Lee Dickinson (for example: Cow Appreciation Day and National Candy Corn Day). 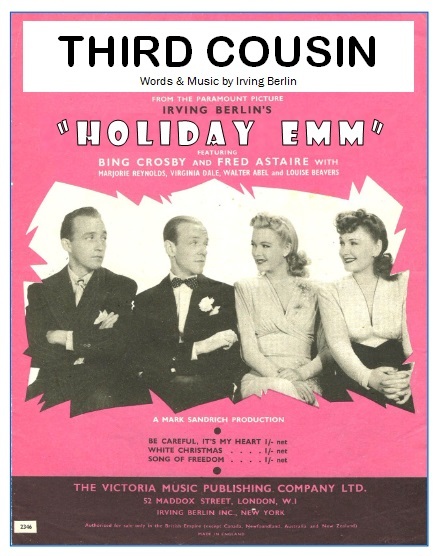 Pictured at the right: The song "Third Cousin" from the show "Holiday Emm." The song opened with the line, 'I'm dreaming of a third cousin," and later Berlin re-used the melody for his holiday hit "White Christmas." 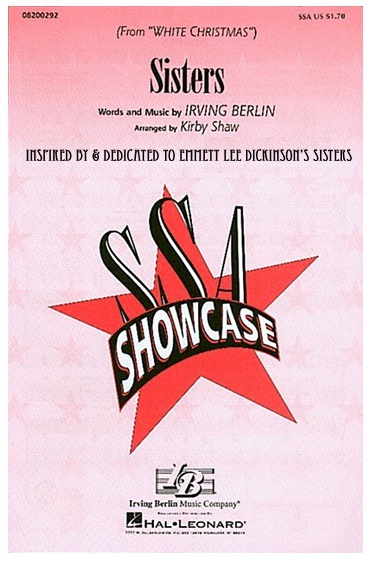 Pictured far right: The song "Sisters," used in "White Christmas," was originally inspired and dedicated to Emmett Lee Dickinson's seven sisters. He's the third cousin we can't get rid of. To his notions about love! Emmett Lee Dickinson, he's great -- sort of! Above: Vidal often sat in a Dickinsonian pose -- he said it help center him. 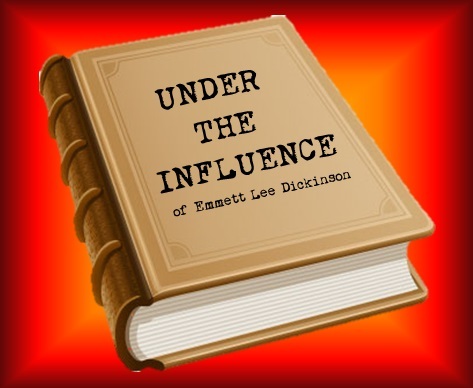 For a list of other authors and poets inspired by the life and work of Emmett Lee Dickinson, click HERE.